Multi-instrumentalist for the influential psychedelic rock band Pink Floyd. 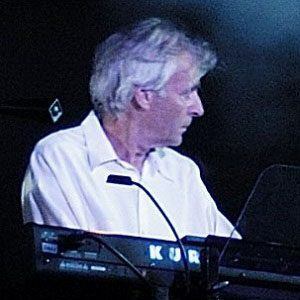 He played keyboards and sang backup vocals, playing a pivotal role in creating the tones of the classic albums Dark Side of the Moon and Wish You Were Here. He taught himself how to play trumpet, piano and guitar in his early teens. After his time with Pink Floyd, he formed a band called Zee with Dave Harris, a former member of the band Fashion. They released their only album, Identity, in 1984. He was born in Middlesex, England, where his father was a biochemist. He co-founded Pink Floyd along with singer/songwriter Syd Barrett.